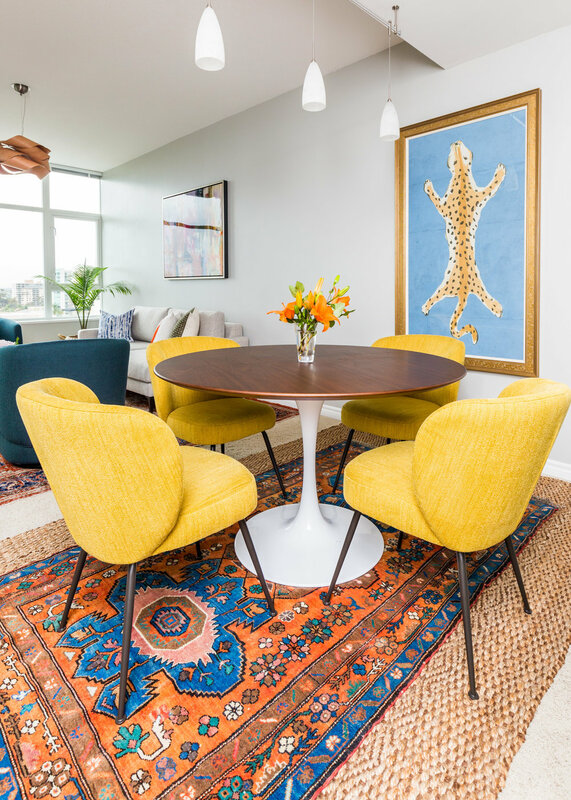 Project SD Condo - Interior Decorating — Lauren Ramirez. After stumbling across LRSI online, this San Diego based renter reached out to us about doing a cross country E-design project as our portfolio of past projects resonated with her. 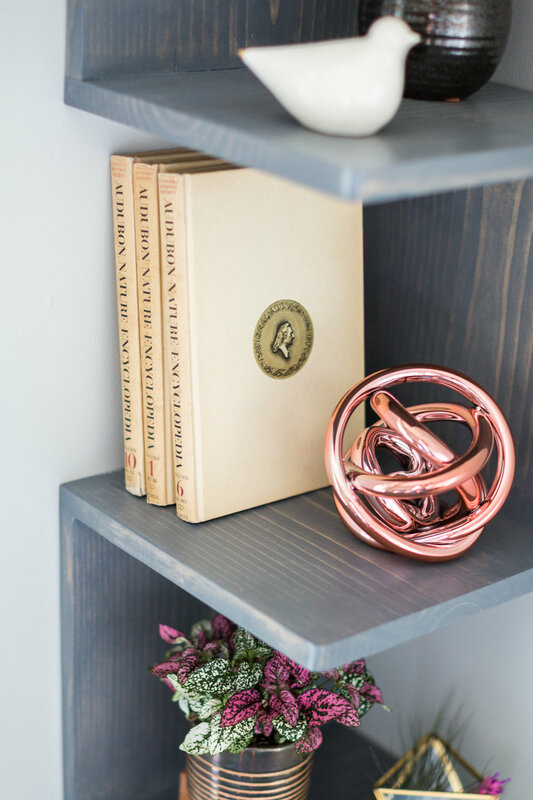 The goals of her project were simple and exciting: start completely over and create a new space that would help her usher in a new chapter of life. We selected all new furniture and accessories for her living, dining and bedroom, carefully planning her space to meet her needs. 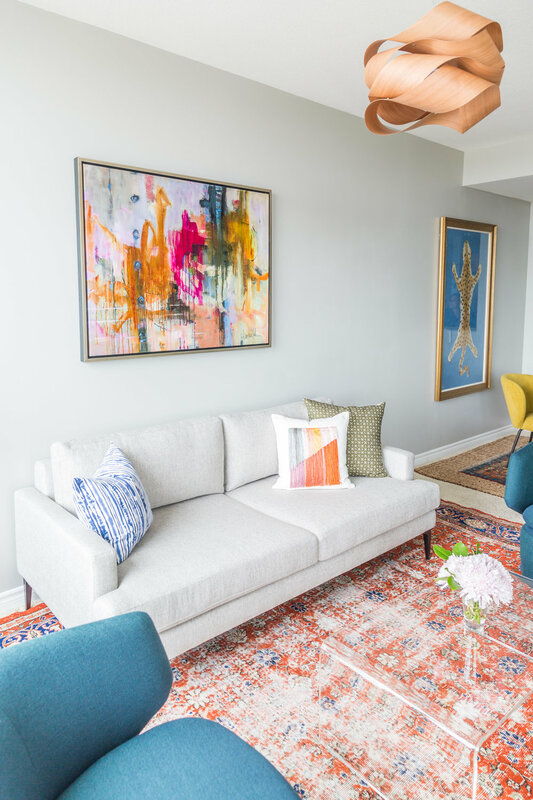 Highlights include unique art choices as well as one of a kind vintage rugs sourced from Turkey and Morocco to cover old carpet and new lighting to supplement her large windows with a city scape view. The result is a home that truly fits her new vibe and matches her vibrant personality.